These coffee capsules are Nespresso compatible. The pack contains 400 capsules distributed in 20 packs of 20 capsules. They contain our ground single origin specialty roasted coffee beans. They are made of recyclable material. Smooth rich chocolate tones. Great coffee for your Nespresso machines. Perfect for offices. Generally, capsules are quick and easy to use. Simply put the capsule into the machine and the machine does the rest. The use of coffee capsules and machinery means that you get the same flavour every time. Something that you can’t guarantee with espresso machines that have a manual skill element in tampering for example. 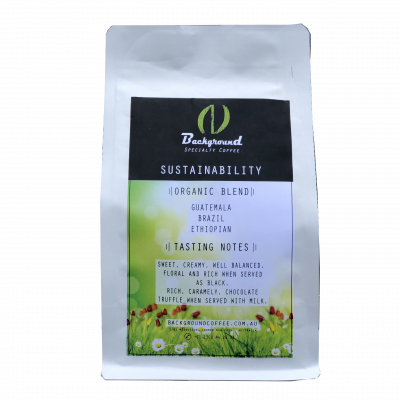 The individual packaging of each pod means that the ground coffee maintains freshness. Opening a pack of ground coffee compromises the freshness of the whole pack each time you open it. Clean and simple coffee brewing process. Nespresso type machines are very easy to use. Insert the pods and that about it. There is also no mess with coffee capsules and the machines are simple to clean and use. Generally, capsule machines are cheaper than espresso machines. If you use whole beans, with an espresso machine, ( for maximum freshness ) rather than bags of pre-ground coffee then you also need a grinder. Per brew capsules are more expensive than making manual espresso coffee but the initial costs are higher and you need to factor in the time to make the coffee and clean up afterwards. This is especially true if you are using capsules in a work environment.